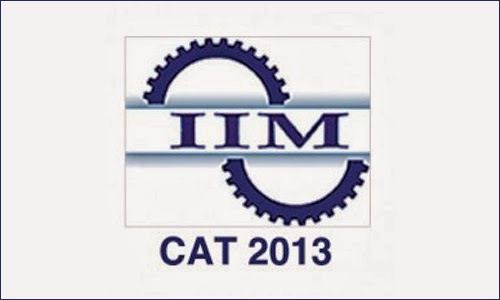 So finally the First Day Morning Shift paper of 16th October CAT 2013 is over and loads of candidates who are having their paper lined up in upcoming days of CAT 2013 window would be vigorously searching the internet trying to know about the difficulty level of this paper. So below I am quoting down a detailed analysis of CAT 2013 First Day Morning Shift Paper - 16th October. The pattern of this section was similar to the previous year pattern of 30 questions to be attempted in 70 minutes. 9-10 questions were from Data Interpretation and 20-21 questions were of Quantitative Aptitude. An important thing to notice in this window was that some questions of Venn Diagrams were seen. Venn Diagrams is a very important topic to cover and the most peculiar thing about this topic Venn Diagrams is that it can appear in any one of the three sections - be it Quantitative Aptitude, Logical Reasoning and Data Interpretation. Coming to the difficulty level of the questions that were encountered by the students in this section, the difficulty level of the questions was very evenly distributed across the paper. By saying this, I mean that you can not say the paper to be extremely easy or easy and at the same time you can not say the paper to very hard or even hard. So if I want to define the difficulty level of this paper in a phrase I would say that the paper was "Moderately Difficult But Totally Doable". Their were no such questions that were based on very tough and complex theorems such as Wilson Theorem, Euler Theorem and others. All the questions would be easy for you if you have developed an aptitude approach towards questions during your preparation. Mathematical approach would not help you a lot in this sort of paper but if you have done your preparation in a way in which you have looked for concepts and shortcuts involved in different questions you can give a very good shot at this paper. Many of my students who have attempted this question paper say that found the paper to be very easy and they were able to attempt even 25 questions out of 30 with full accuracy. But I have also heard reviews of some other aspirants who say that they wasted too much of time in questions that were tough and thereby ended up not attempting the easy ones and sitters. 11 questions of Verbal Ability - some were difficult and some were easy. My students discussed some questions that were present in their question sets and I found that those questions were not very difficult, they were definitely doable. Unfortunately I can not post those questions here as that would be unlawful, but by totally analyzing the paper in deep, I can sum up that if you have done enough practice of questions of English in Mocks and in your study material you would be able to do a fair amount of questions with good accuracy. Thanks a lot...Can you please share the types of caselet you had for DI and LR? thanks a lot for the analysis! do you remember how many questions were from algebra and geometry and other topics? Was Logical Reasoning easy like last year or was difficult compared to last year ? Hello Harshit , thanks a lot for the analysis , I had one query ( not related to the analysis ), I have entered my graduation %age as 74 , however it is 73.9 while filling CAT form, would that create issues for me during final selection ? Sir thanx a lot for ur analysis. I just have 1 question is accuracy taken in to account for normalization or only raw score is considered?? I knw its very difficult to answer it coz the process isnt disclosed but just based on ur experience and interactions what r ur thoughts on it?? What was the length of the RC passages? were they as long as those in TIME mocks? or were the comparatively shorter like in CL mocks? So if you do the calculation if you are doing 9 questions of LR correct and out of 10 attempts of VA AND RC 9 goes correct then it will be 18 correct attempts and 1 wrong which will easily give percentile more than 97 or even 98. Thanks Harshit your analysis relieved me a lot .. I was too tensed about the pattern and all.. Thank you sir for a wonderfully laid out analysis. I am amazed at the fact that one can score almost 95 percentile by attempting 30 odd questions with a good accuracy rate. The attempts are not even half of the questions available. Does it actually happen that way? can u pls tell me... if i need a percentile score above 90, wat shuld be the total number of question attempt dat wud make it up? Sir,was there any questions from TIME SPEED DISTANCE,PROFIT AND LOSS,PRCENTAGE,TIME AN WORK?? Can you breakup the qaunt section and specifically were any question of Probability and SI/CI in your set? Sir was there any ques from numbers.? thanx a lot sir ...such filtered n vivid analysis is what gives respite to the nervous aspirants like me wish me luck for my CAT on 18th ....ur suggestions were an eye opener ....!!! Plz tell us more detail about section 1.
from which topic most questions came?? Sir , In the VA section , was there any questions on PHRASAL VERBS i.e., Incorrect usage ?? And was there anyy direct q on vocabulary like confusing word pairs etc. ? sir,if i solve 30 questions out of 60 with 100% accuracy what would my estimated percentile be??? It is impossible to predict how much you can score by attempting 30 out of 60 as it totally depends on the difficulty level of your paper.....very frankly please do not keep any preconceived attitude in your mind that you are going to attempt this much questions....Attempt only those ques. which you can solve their....Post you experience of CAT at this URL http://gs-india.blogspot.in/2013/10/cat-2013-analysis-and-expected-cut-offs.html and after that may be I could help you in predicting your percentile score.... ALL THE BEST!!!! How many questions should be attempted in section 2 with 80% accuracy to get 99%ile in that section. If I get all LR questions correct and I get 9 out of 15 other questions correct in section 2. What are the expected percentile scores in that particular section. Sir i have done 32 questions 14 in which I'am sure of 13 and 16 in VA with 95% accuracy what is a expected percentile!!! if You could tell it would be a great help. sir i have done total 23 question in both the section with 75% accuracy what is the expected percentile..